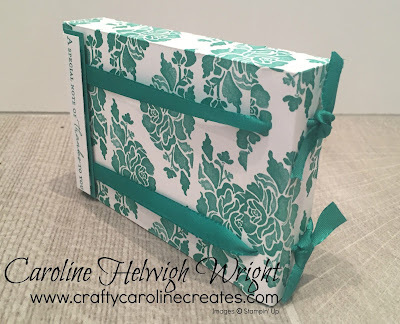 As regular readers will know, I am a big fan of using stamping to create DSP style looks. Usually I stamp a very random pattern but recently I've been experimenting with more regular patterns like with the Paisleys and Posies box I shared recently. 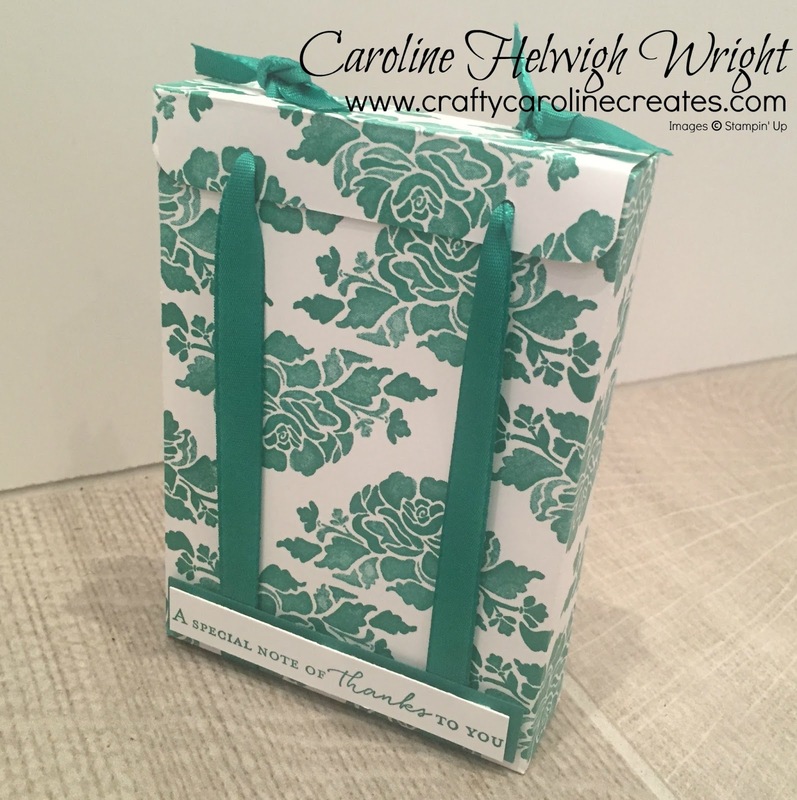 For this box I've used the stunning large image from the Floral Phrases stamp set and Emerald Envy ink - fast becoming my favourite colour. I've stamped a repeating pattern and I think the result is quite striking. Once I'd made the paper I turned it into a decent sized gift box and have used two ribbons, threaded through the lid to keep it closed, making it even more striking. 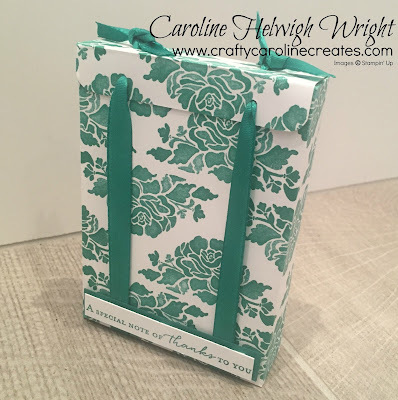 If you'd like to see how I made the box and the hand stamped paper - click HERE to view my video. Score the short side at 1, 6-1/4 and 7-1/4 inches. Great box! Thank you for sharing! Love your videos. Beautiful projects. What is the finished size of this box? Thanks so much. others auction their old sacks just in light of the fact that they are exhausted of them and need to clean their closets..